As a body of work, "Marvelous" began by identifying 10 technologies of expansion in the New World: Birch Bark Canoe, Calumet, Hatchet, Mount, Orange, Tennis Ball, Proclamations, Skin, Place Holder, Polyhedron. 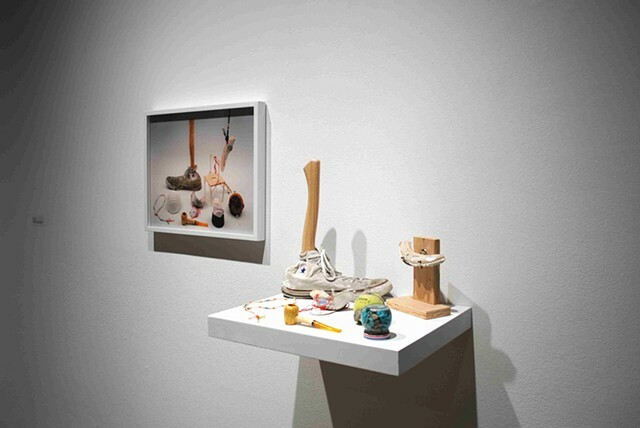 Each art object is a different iteration of one of these ideas made of modest materials. The body of work takes different forms, including a print on demand book, which may be previewed here. It has also been shown on a long, uninterrupted pedestal and as a series of photographs and still lives.